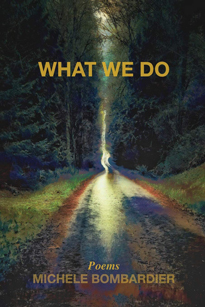 Poet and speech-language pathologist Michele Bombardier's first book of poetry What We Do (2018) has met with great acclaim. 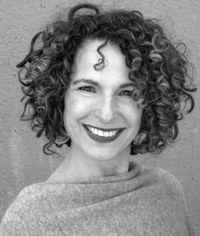 Bombardier uses poetry as her vehicle to consider faith, illness, death, and human connection when things can fall apart. With humor and compassion she shows us her own family, but also patients, students, strangers. At its essence, What We Do is a call to empathy, an invitation to shake us into awareness of ourselves and those around us and to listen for what lies underneath the surface. More of Bombardier's poetry can be found in numerous literary journals, such as Alaska Quarterly Review, Atlanta Review, Poetry International Online, Bellevue Literary Review, Floating Bridge, Artemis, and The Examined Life Journal. Bombardier is also the founder of Fishplatepoetry, a social purpose organization that offers workshops and retreats for writers while raising funds for humanitarian relief. For more information on this author go to https://www.michelebombardier.com/.